Be sure to stop by the Capitol Riverfront Farmers Market every Thursday between 3 and 7 pm to pick up fresh veggies, breads, homebaked pies, flowers, barbecue, sorbet and much more! This week new vendors include the famous Uncle Brutha's Hot Sauce and Old Mountain Valley Farm selling spreads, salsas, mustards, olive oil and vinegars. The Farmers Market is located at M and New Jersey Ave, SE with the entrance off M Street, right above the Metro and next to SunTrust Bank. Grab some snacks and make a picnic to bring to the Thursday outdoor movies at Canal Park or relax at the market and listen to the live music. 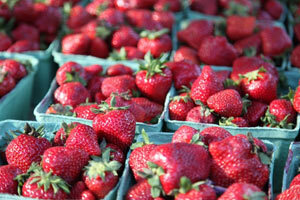 Become a facebook fan here to learn what will be featured each week at the market! Share your stories of the historic Southeast DC neighborhood as we embark on the creation of a new Neighborhood Heritage Trail in the Capitol Riverfront. 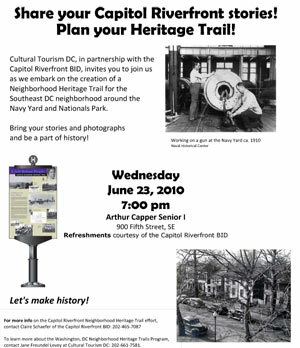 Cultural Tourism DC, in partnership with the Capitol Riverfront BID, is holding two community meetings for the public to share stories, bring photos and help shape the community's heritage trail. The first meeting will be on Wednesday, June 23rd at 7 PM at Arthur Capper Senior I, 900 Fifth Street, SE. To learn more about the Washington, DC Neighborhood Heritage Trails Program, contact Jane Freundel Levey of Cultural Tourism DC at 202.661.7581. See the flyer here. 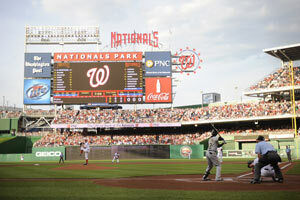 Last Tuesday, June 8th, Stephen Strasburg made his highly-anticipated Major League debut with the Washington Nationals to a sold-out, standing-room-only ballpark crowd. Strasburg had a record-breaking debut with 14 strike-outs and led the Nationals to a 5-2 victory over the Pittsburgh Pirates. Strasburg will start once every five games and plays again at Nationals Park this Friday, June 18th. Read the Forbes article that references the Capitol Riverfront here. Photo courtesy of the Washington Nationals. 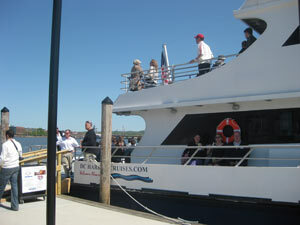 DC Harbor Cruises continues to offer a variety of cruises on the Patriot II, departing from behind Diamond Teague Park. Happy Hour Cruises to Alexandria and back are offered Thursdays at 6:30 PM for $20 with a complimentary beverage. See the monuments at night on the Twilight Harbor Cruises on Saturdays and Sundays at 7 PM. Twilight Cruises cost $24 for adults, $19 for seniors, and $12 for children, and get on board for the July 4th Fireworks Cruise, which is selling out quickly! The July 4th cruise from 7:30 - 10:30 pm includes hors d'oeuvres, cash bar, dessert bar, music and more for $68 per person. Learn more about the cruises and make reservations online here. For private charter, group rates or to book over the phone, call 703. 674.7824. Diamond Teague Park is located at the corner of Potomac Ave and 1st St, SE, behind Nationals Park. 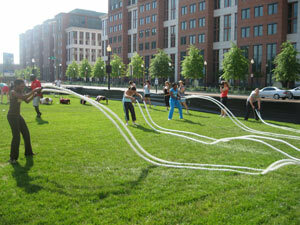 Zipcars are now available in the Capitol Riverfront. Two Zipcars have been added to the parking lot on 2nd Street, SE at 801 2nd Street, SE. The car-sharing program allows members to reserve a car at one of many locations in the area and easily pick it up for a few hours or a whole day. 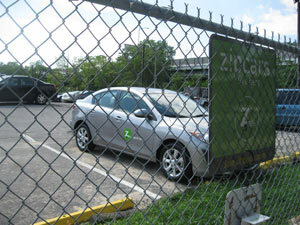 Zipcars offer a new transportation option for the over 3000 residents in the neighborhood. Learn more and/or register for Zipcar here. 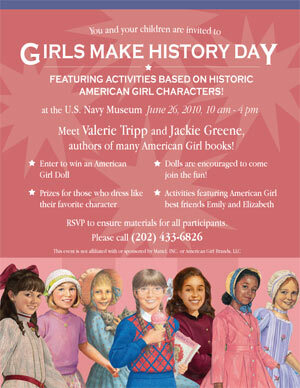 Girls Make History Day, featuring the popular American Girl series, returns for a 2nd year at the US Navy Museum on Saturday, June 26th from 10 am - 4 pm. The family-friendly day includes a variety of activities, contests and an opportunity to meet American Girl book authors Valerie Tripp and Jackie Greene. Girls are invited to bring their dolls, dress to match their dolls and enter to win an American Girl doll! This event is free and open to the public, however, please RSVP by calling 202.433.0280 or 202.433.6826. See the flyer here. Elite Fitness offers an hour- long outdoor bootcamp class in Canal Park every Monday, Wednesday and Friday at either 6 am or 7 pm. A variety of packages from Basic to Elite and rates are offered with information available on the website. Newcomers to the five-week session receive a complimentary class, as well as a free Boot Camp nutrition plan for sign-ups in June. Learn more and sign up here. The Capitol Riverfront BID is highlighting people who live and/or work in the neighborhood as part of "Faces of the Front." Each newsletter will feature a different person and their story. All the profiles can be found on our website here. If you would like to be considered or would like to nominate someone else as a future Face of the Front, let us know here. For a Capitol Riverfront newcomer, the long wait for a perfect apartment came during a short wait for exhibit space at Artomatic. Armed with a wish list that included a place with more space and a more flexible floor plan than their Northwest DC apartment, Jack Whitsitt and Paivi Salonen were standing on line to register for exhibit space at the tenth annual arts festival when a sign for The Onyx caught their eye. In less than an hour they knew their hunt for a new home was over. "We liked the apartment so much," says Jack, who does projection and installation art. "It's on the Metro and the neighborhood is so unusual in a good way. It's not often that you get to be in a neighborhood being built from scratch." They also love the ease of getting around, especially since they don't have a functional car. 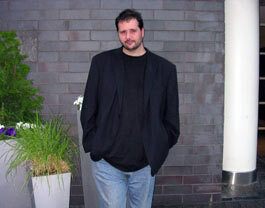 Jack, who by day works in cyber-security, commutes by Metro to his job in Pentagon City. "I thought it would be harder to get to things but it's much closer than we realized." Jack and Paivi, a photographer, moved in at the end of May and have been enjoying rooftop parties, the short walk to Eastern Market and Capitol Hill, and an exploration of the restaurants on Barracks Row. And while neither Jack nor Paivi are baseball fans, they've found an unexpected delight in the fireworks and energetic bustle of Nationals Park. "For a newly established community," Jack says, "It's much more active than we thought." This email was sent to kkruczlnicki@capitolriverfront.org by news@capitolriverfront.org.